Dog Ear Publishing releases “Ajak’s Song” by Kenneth Waxman. In Kenneth Waxman’s new book, “Ajak’s Song”, released by Dog Ear Publishing, a prominent American surgeon describes his journey to a small tribal village in South Sudan with Doctors without Borders on the eve the country’s vote for independence. He uncovers many truths; about his own life journey, about the courageous people of South Sudan, and about the devastating crisis in health care that the world’s newest nation is suffering. Today, Dr. Kenneth Waxman announces the publication of his first book, “Ajak’s Song”, the narrative of a surgeon from Santa Barbara who travels deep into the bush of sub-Saharan Africa to discover many truths about himself and about the courageous people of our world’s newest nation, South Sudan. 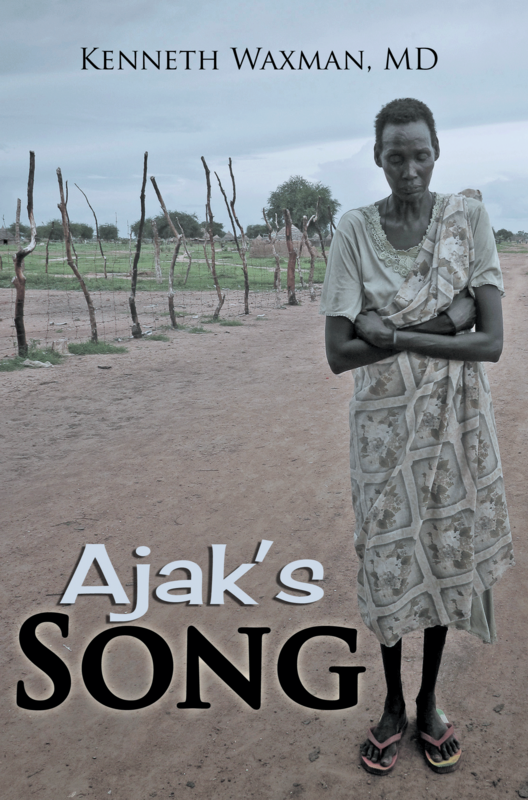 “Ajak’s Song” begins with the story of Ajak, a 13-year-old girl bitten by a snake, leading to disastrous consequences. Traditional healing methods don’t work, and Ajak faces amputation, which would destroy her dreams of getting married and bringing fortune to her family through her bride price. Carried in her father’s arms for two days, she finds hope at a new international health facility being established in a small Dinka village near the border of North Sudan. There, she meets Waxman, who would be her surgeon, performing multiple operations in attempt to save her leg. Each time she awakes from her surgeries, Ajak opens her eyes and begins singing a song of hope. Waxman shares his awe of the beauty of his surroundings, the magic of the tribal culture, and the very different and fascinating perspectives the villagers have about disease and death. He shares stories about his fellow volunteers, South Sudanese children facing death from tropical diseases, patients with violent spear and gunshot wounds, and a young Dinka man who serves as his assistant, in hopes of someday becoming a surgeon himself. These stories provide a very personal glimpse into the heart of South Sudan, and some of the challenges the young country faces. Photographs in “Ajak’s Song” illustrate in stark reality the medical challenges South Sudanese villagers face. Although South Sudan has now become an independent nation after decades of revolution, it is left with a terrible lack of health care, without providers or resources to fight the world’s highest rate of tropical diseases, shockingly high rates of maternal and infant deaths, and tragically untreated injuries. Readers can also help change lives in South Sudan. Proceeds from the sale of the book will be donated to Future Doctors for South Sudan (www.futuredoctors.org), a nonprofit organization that works to educate young South Sudanese doctors. Author Kenneth Waxman, a board-certified surgeon, earned his undergraduate degree from the University of California, Berkeley, and his medical degree from the University of Chicago. He did surgical training at Harbor-UCLA Medical Center and then joined the UCLA faculty. He helped develop the first organized trauma system in the United States after joining the University of California, Irvine, where as Professor of Surgery, he directed the trauma center, surgical intensive care and burn units. He moved on to Santa Barbara Cottage Hospital, where he developed the first trauma center on California’s central coast and directed the hospital’s surgical training program. Waxman joined Doctors without Borders in 2010. Dog Ear Publishing releases “Success Through Logical Thinking” by Dr. Frank Layman. A healer of the body turns his attention to the mind in this new book released by Dog Ear Publishing. Physical therapist and orthopedic specialist Frank Layman provides insights on thinking logically instead of turning to emotion to promote personal success. Achieving success requires dedication and overcoming obstacles – including emotions, which can put up a wall that prevents attaining that success, no matter how it’s defined. This new book aims to provide a logical thinking model so readers can approach life with the intent of improving it, including moving away from being governed by emotions and the negative results that such thinking can create. Identifying barriers and applying logical thinking to resolving them is the first step on the path to success. To be successful in any endeavor takes a complex culmination of approaches. Dr Frank Layman’s experiences in helping patients’ recover and his own life experiences and successes make for motivating and compelling approach to self-improvement. 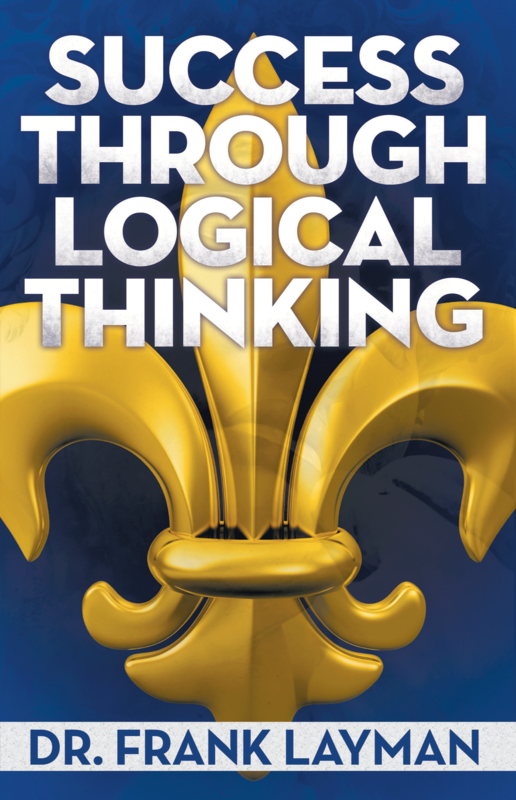 “Success Through Logical Thinking” offers specific tips for moving toward logical thinking. Author Frank Layman describes the benefits of logical thinking as a means to alter perspective and influence behavior, as well as a means to diminish self-doubt, which can sabotage commitment to goals. He includes warnings on managing expectations, not wasting time and avoiding temptation to be distracted. A test in one of the book’s final chapters allows readers to better assess their ability to apply logical thought to issues of everyday life and point out negative habits they can then work to eliminate so they can fully achieve their goals and build on their success. Author Frank Layman, a specialist in orthopedics and sports medicine, has more than 20 years of experience treating athletes and patients. Layman, a member of the American Physical Therapy Association, North Caroline Physical Therapy Association and American Academy of Orthopedic Manual Therapy, has degrees in sports medicine/athletic training and physical therapy, as well as a doctorate in education from the University of Virginia and a medical degree in physical therapy from the University of St. Augustine. A national speaker for Cross Country education is a Major in the U.S. Army Reserves, serving for more then 13 years. He is a clinician and leader with Randolph Hospital. When he’s not teaching and treating patients, Layman practices Brazilian jujitsu, studies aerodynamics and is a pilot. He also enjoys time with his loving family. For additional information, please visit www.FrankLaymanSTLT.com. 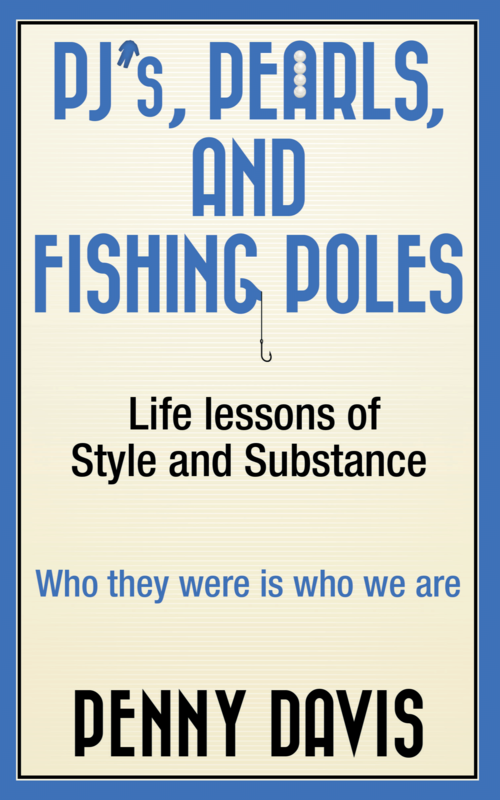 Dog Ear Publishing releases “PJ’s, Pearls, and Fishing Poles: Life Lessons of Style and Substance” by Penny Davis. A former Executive Director of a hospice organization shares stories from her decades-long career and interactions with families, hospice team members and patients in this new book about the importance of time & life lessons released by Dog Ear Publishing. As a little girl, Penny Davis helped her grandmother care for an ailing neighbor during a hot summer – one of a network of neighborly volunteers who helped care for the gravely ill woman. Although that act took place long before hospice became recognized as a level of care, it inspired Davis, who spent 45 years in health care herself. Her new book explores the world of hospice care, sharing stories from hospice team members, patients and their families as examples of love, wisdom, humor, friendship, resilience, compassion and courage. “PJ’s, Pearls, and Fishing Poles: Life Lessons of Style and Substance” provides insights into a hospice interdisciplinary team and how it works, meshing the talents of a medical director, nurses, home health aids, chaplain, social workers, bereavement coordinator, volunteer coordinator, volunteers, sales team and executive director. Hospice, which focuses on the patient, offers everything from pain management to emotional support as families navigate quality end-of-life care. The hospice team hears it all, from anxious people who don’t know how to talk to their friends in hospice to requests for egg salad recipes at 3 am and helping patients create gifts for loved ones as a legacy. This heart-warming book celebrates both patients and the special team. It focuses not on death or dying but the heart and soul of living. Author Penny Davis serves as a board member for the Indiana Hospice Palliative Care Organization and volunteers with a local hospice after retiring as executive director. A portion of proceeds from “PJ’s, Pearls, and Fishing Poles” will be donated to hospice. For additional information, please visit www.penny-davis.com. Or on your e-readers, Kindle, Nook and Apple.